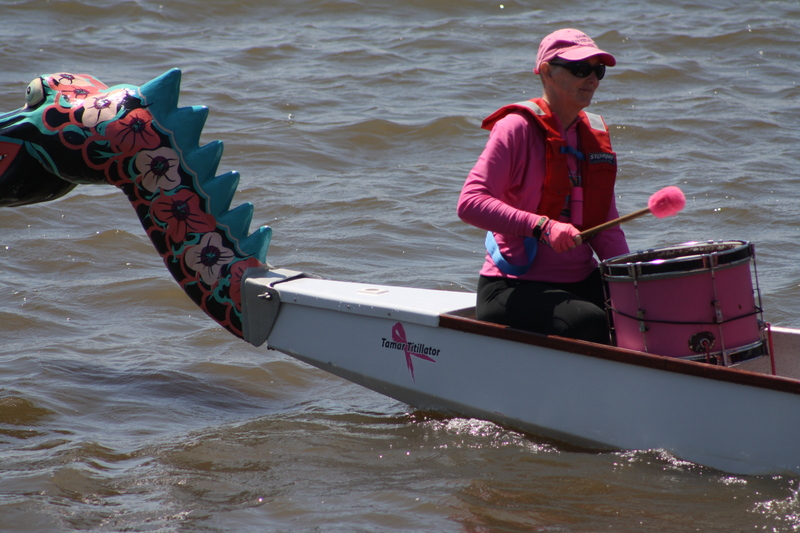 As President of DANTI for several years, Sue was enthusiastic for the Club and for paddling, with a great determination to continue paddling in the boat as long as possible. 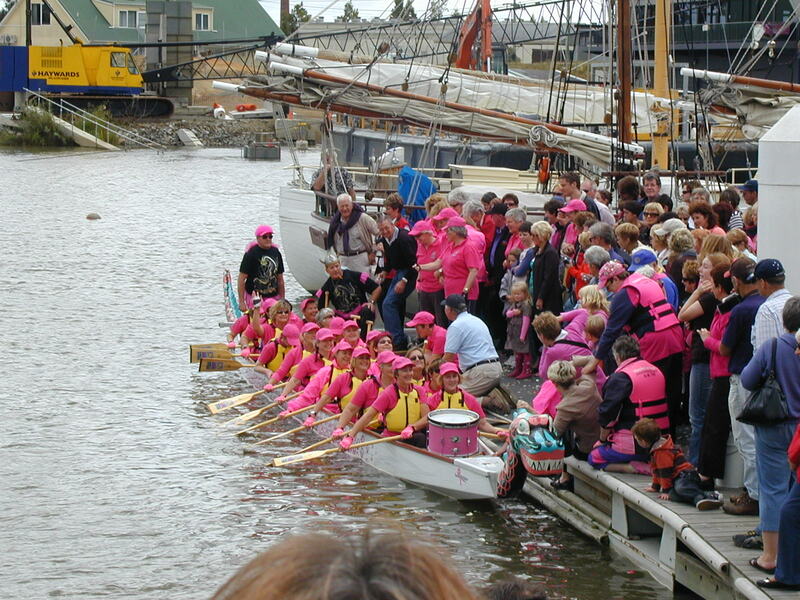 We remember her at the launching of the boat February 2007, this being our first paddle in the Tittilator, at Lake Barrington, racing against the other pinkie teams, at events such as the Hillwood paddle, George Town on display, down at St. Helen’s, organizing the tent and enjoying the trips out around Georges Bay. The DANTI Christmas parties at her home in Gravelly Beach were always joyful events, with a piñata one time, a treasure hunt another time. Sue made an effort to entertain, was a great host, and with her best friend and partner Greg, often towed the Tittilator to events, gave us fresh lobster for lunch, and made us laugh at social events like the Black Cat party at the Boathouse. North Esk Dragon Boat Club, and DANTI in particular will miss Susan King, with her happy laugh, her friendly nature and her generosity, but above all we will just miss HER. Go in peace Sue.